Steel & Stone has had a good run. But the time has come for the game to fade away. As of April 1st, 2013, Steel & Stone has officially been closed down. The database will be made available in the near future for interested parties to take over. In the years between the Games of Thrones, the fates of families are decided. This is the story of two such families and the smallfolk whose fates hang upon the contest betwixt their betters. It is the 290th year since Aegon's Landing. Robert Baratheon won the Seven Kingdoms and his crown on the banks of the Trident seven years ago. With the threat of the Ironborn Invasion thwarted, and while the armies have disbanded, and the Great Lords returned to their halls, the Riverlands remain a cradle of contention. The wealth of fertile fields and waters running with trade sit at stake. Steel & Stone is set in the world of the A Song of Ice and Fire books or HBO's Game of Thrones show. 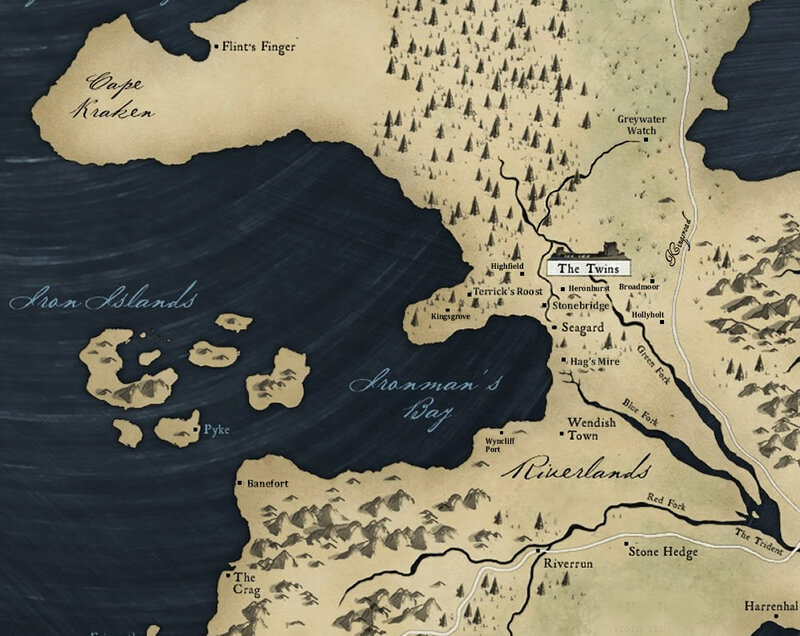 We are set approximately 10 years before the events depicted in the books, and are focused on a specific slice of the Riverlands, namely that area between the Twins and Seagard, as seen on the map here. Our goal is to provide the politics and intrigue of the series, not between the Great Houses spread across the continent, but zoomed in on smaller houses who are none the less the most important in the region they inhabit and rule. We focus on a relatively small geographical area, so that almost all PC houses and on-grid places are only a few days' ride apart, and the effects of PC politicking and decision-making can be directly felt. While characters may not be deciding the fate of the Seven Kingdoms like those at King's Landing, they are deciding the fate of their own homes. Rather than making choices that alter the lives only of distant subjects they never see, PCs here are constantly in close proximity to the people their decisions impact. Living moments from their subjects and only a day's march from their neighbors lends more immediacy to the questions facing the nobles of Steel & Stone, and more personal risk to the task of navigating relations between houses. The wiki can be viewed by anyone, but can only be edited by members. Anyone with an approved PC may become a member, and should request access on the game, by page to staff or submission of a +request.